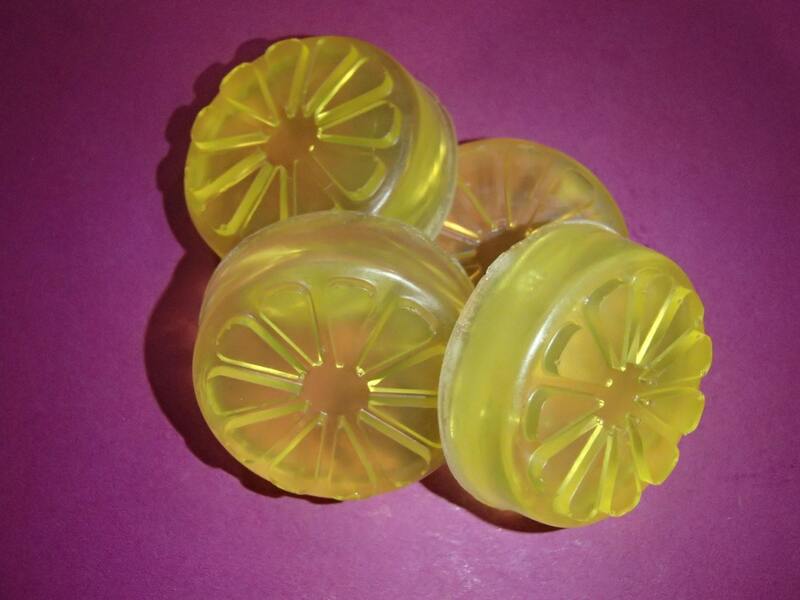 This is for 4 glycerin soaps in the shape of a lemon slice. They are circle shaped with a raised pulp design representing a slice of a citrus fruit. Each measures approximately 1.25 inches in diameter and is 0.5 inch thick. Each weighs about 0.5 ounces. They are scented lemon and colored yellow. This small soap is a great size for hand washing, especially for little hands. This soap is has a nice clean scent for on the go hand washing in places that only have liquid soap that tends to dry out hands.